Restrictive covenants are a valuable tool employers use to protect their proprietary interests. Non-compete covenants and non-solicit covenants are the most common forms of restrictive covenants used by employers. These covenants protect the employer’s interests by preventing its former employees from going to work for a direct competitor for a set period or from enticing former coworkers or clients to follow them when they depart. North Carolina courts have a long history of scrutinizing covenants that prevent an employee from competing with his or her former employer. As a general rule, North Carolina judges have not been inclined to enforce restrictive covenants that fall short of certain requirements. Two recent cases examining the scope of the “valuable consideration” element provide insight into what a judge might look for when enforcing a non-compete covenant. Quantifying what constitutes sufficient consideration for purposes of enforcing a restrictive covenant can be quite challenging. Before employment commences, this is a relatively straightforward analysis, as an offer of employment adequately meets the valuable consideration threshold to support a restrictive covenant. However, when an employer seeks to require existing employees to enter into agreements containing restrictive covenants, the analysis becomes more complicated. In this context, the offer of continued employment alone is not sufficient consideration. Employers must provide some form of “new” or “additional” consideration, such as a raise, bonus, or other increase in compensation, such as a promotion or grant of equity. In the recent case of Employment Staffing Group v. Little, the North Carolina Court of Appeals determined that the sum of $100.00 is adequate consideration for a non-compete covenant in the context of continued employment. In the unanimous decision penned by Judge Lucy Inman, the Court also determined that payroll evidence is permissible for establishing the payment of consideration if essential terms are not contained in the written agreement. In Little, the employee had worked for the employer for thirteen years before she was asked to execute a restrictive covenant that prohibited her from working for a competitor for one year following the termination of her employment, as well as prohibited her from soliciting the employer’s customers for two years following her employment termination. She was paid the sum of $100 by her employer via direct deposit in exchange for signing the agreement containing the restrictive covenants, but the $100 payment was not directly referenced in the agreement she signed. When Ms. Little left the company and began working for a competitor in violation of her non-compete agreement, the employer sought to enforce the restrictive covenants. In determining that the restrictive covenants were enforceable, the trial court granted the employer’s request to consider evidence of the oral and written agreements between the parties despite the fact that the agreement at issue contained a “merger clause.” A merger clause is a provision frequently contained in contracts which provides that the written agreement constitutes the entire agreement between the parties. Affirming the trial court’s decision, the Court of Appeals determined that the evidence proffered by the employer that the $100 payment was made, together with the offer of continued employment, supplemented rather than contradicted the agreement between the parties and demonstrated that sufficient legal consideration existed for the restrictive covenants Ms. Little signed. The North Carolina Business Court also recently explored the sufficiency of consideration in the context of continued employment. In the case of AmeriGas Propane, L.P. v. Coffey, Judge Louis Bledsoe was asked to evaluate the adequacy of consideration contained in a post-employment agreement which a retained employee was required to sign after her new employer acquired all outstanding equity interests in her former employer as the result of a merger. Judge Bledsoe determined that the fact that the merger was accomplished through an equity purchase and not an asset purchase and the fact that the employee continued working without interruption after the merger was completed led to the conclusion that the employee’s continued employment with the merged corporation did not constitute adequate consideration for the restrictive covenants contained in the post-employment agreement she was required to sign. It is established North Carolina law that an employment contract signed at the time of a business acquisition may only use employment with the acquiring company as consideration if the old employment relationship is deemed terminated as a result of the transaction. Acquisition of a business through a stock purchase or other equity does not automatically terminate existing employment relationships and therefore would not ordinarily constitute new employment for purposes of consideration. Other relevant details impacting the Business Court’s decision in the Coffey case included the fact that the employee was a delivery representative whose duties and interactions with customers remained substantially the same after the merger and the fact that while the employee became eligible for bonuses and wage increases under the terms of the post-employment agreement, the employee, in fact, received no such bonus, increased benefits, or further training at the time of the merger. Mere eligibility for discretionary raises does not constitute consideration to support a restrictive covenant, and the Business Court determined that there was no evidence that the employer was under any obligation to increase the employee’s wages or to pay him a bonus at the time he entered into the post-employment agreement. These recent decisions by the North Carolina Court of Appeals and North Carolina Business Court are instructive in guiding employers in crafting enforceable restrictive covenants with regard to the elusive element of consideration. 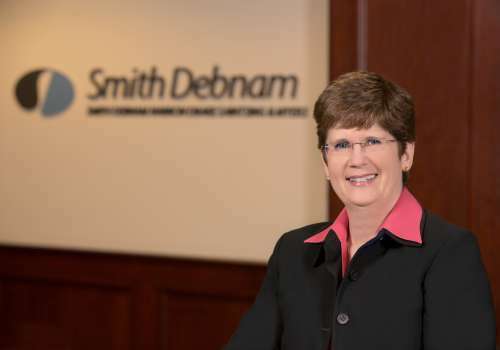 If you have questions regarding these court decisions or other legal issues pertaining to the employment relationship, please feel free to contact Connie Carrigan at ccarrigan@smithdebnamlaw.com.